From bestselling author Diane Moody. When her best friend prayed for God to "blow your socks off," Olivia Thomas had no idea that prayer would be answered only a few hours later. Stunned by such an unexpected gift from someone she'd helped years ago, Olivia suddenly finds herself with unlimited possibilities. She packs her bags and heads to Caden Cove, a tiny coastal town in Maine, where she hopes to figure out what to do with the rest of her life. Little does she know her reservation at the Captain MacVicar Inn has put her in the path of a historic legend. Trevor Bass owns Caden Cove's only bookstore and dabbles in real estate. All the locals know the grouchy bookseller is an avowed bachelor, which explains their utter shock when he invites a "tourist" to visit their book club. 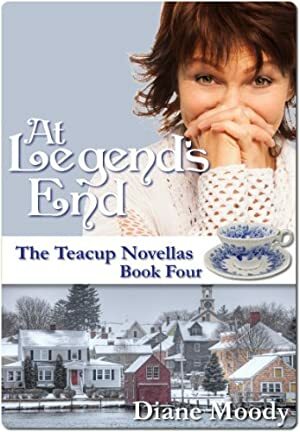 The mere hint of romance sends the town into a frenzy wondering if the object of Trevor's affections could be the next victim of the legend's curse. Will history repeat itself once more in Caden Cove? Log In to track Diane Moody on eReaderIQ. to be notified each time the price drops on any book by Diane Moody. to stop tracking Diane Moody. We started tracking this book on August 5, 2013. This book was $3.71 when we started tracking it. The price of this book has changed 166 times in the past 2,090 days. The current price of this book is $0.99 last checked 20 hours ago. The lowest price to date was FREE last reached on April 11, 2019. This book has been FREE 70 times since we started tracking it. The highest price to date was $4.51 last reached on November 1, 2013. This book has been $4.51 one time since we started tracking it. We last verified the price of this book about 20 hours ago. At that time, the price was $0.99. This price is subject to change. The price displayed on the Amazon.com website at the time of purchase is the price you will pay for this book. Please confirm the price before making any purchases.